This half-marathon plan is ideal for a range of athletes: walkers looking to morph into runners; running neophytes testing their wings at a half-marathon for the first time; mothers who get injured more than six-year-olds whine; and anybody who prefers to mix running and walking when they’re on the road. The weekday runs are based on minutes, not miles, while the weekend long run is calculated in miles. THE PREREQS: No running or race experience is required, but good general fitness is definitely necessary. (And if you’ve run a 10K or a half-marathon before, all the better.) The run/walk segments start with 2 minutes of running, four minutes of walking, so you should be able to run easy for several minutes. Of course, a relatively healthy, injury-free body is definitely helpful. LONGEST LONG RUN/WALK DISTANCES: one 10-miler, one 11-miler, one 12-miler. 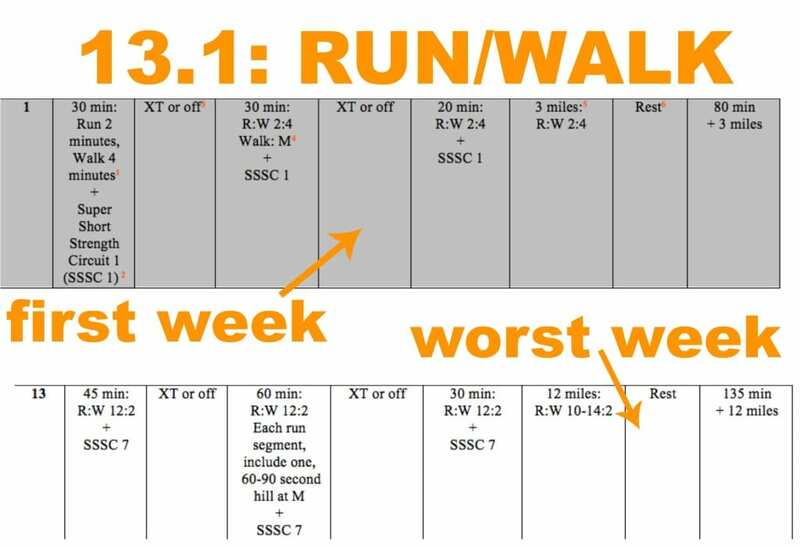 A mother-runner-friendly 13.1 Run/Walk training plan: This 15-week 13.1 Run/Walk plan is (much) more flexible than our hamstrings: Almost every week, there’s a workout you can bail on and one that’s integral for your success. Plus, the workouts range crosstraining sessions to circuit runs, keeping things interesting for both your body and mind. The Train Like a Mother 13.1 Run/Walk Challenge plan is ideal for a range of athletes: walkers looking to morph into runners; running neophytes testing their wings at a half-marathon for the first time; mothers who get injured more than six-year-olds whine; and anybody who prefers to mix running and walking when they’re on the road. The weekday runs are based on minutes, not miles, while the weekend long run is calculated in miles. No. 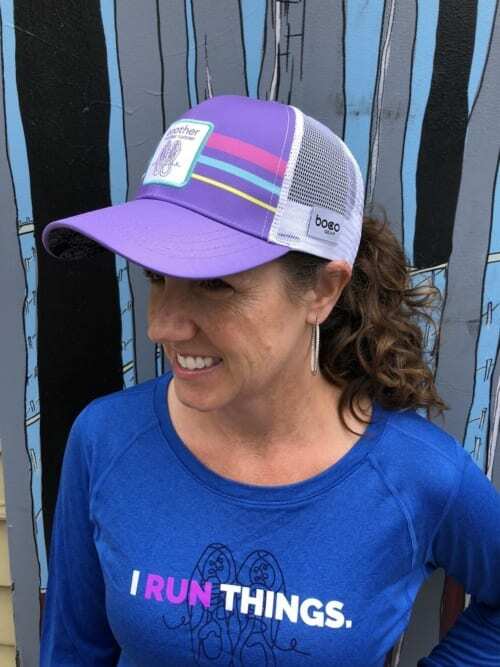 The fee is for the comprehensive training plan, unlimited support, miles of resources, exclusive podcasts, and swag package, which will help you achieve a strong half-marathon. At the end of the cycle, you will participate in the organized half-marathon of your choice; you can also choose to run a half-marathon on your own, if that works better for you.